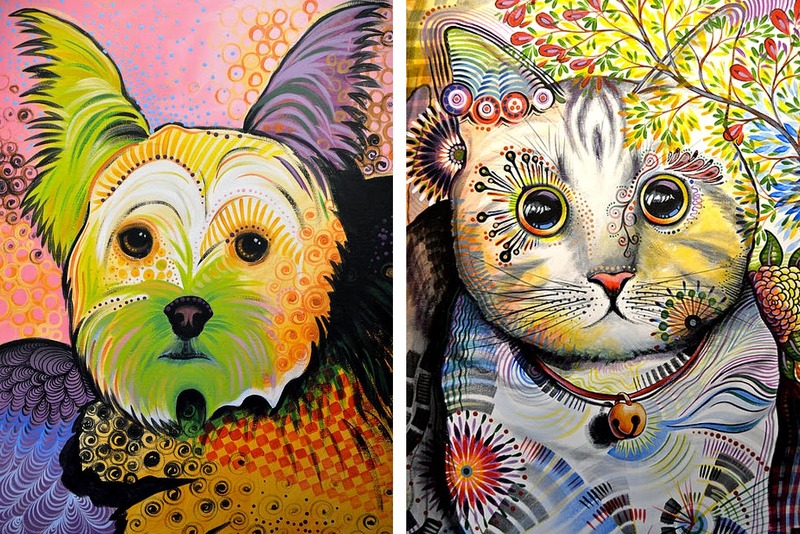 Flora & Fauna Painted as one Artist Sees. Hues, Silhouettes & Swirls. A New Way to Experience Nature in all its Beautiful Colors & Glory. Color is one of the most powerful and versatile tools that artists have available to them to share their vision of the world. Strategic use of different hues can make any subject matter pop and give great life to each work. 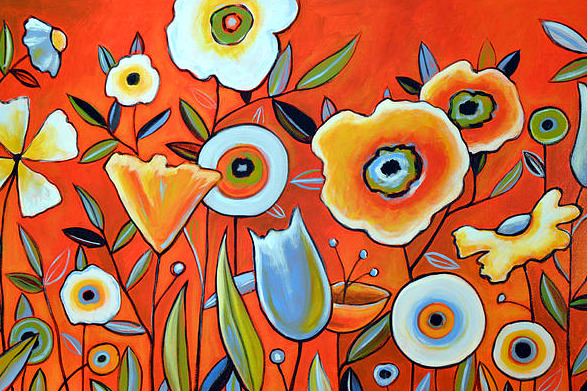 For painter Amy Giacomelli, color is at the core of her style. She does a fabulous job of conveying emotion and movement through vibrant shades, well mixed to create bright and beautiful pieces. 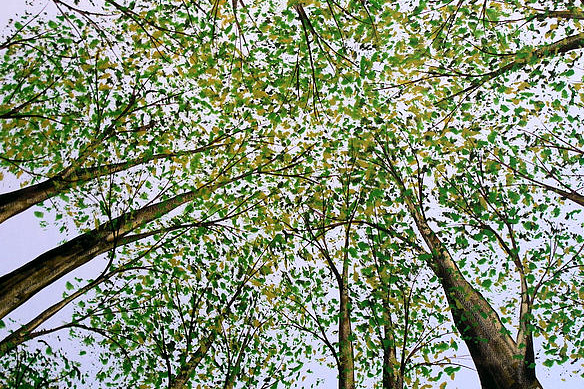 Often depicting nature, her work draws inspiration from real life, while translating it into more abstract expression. 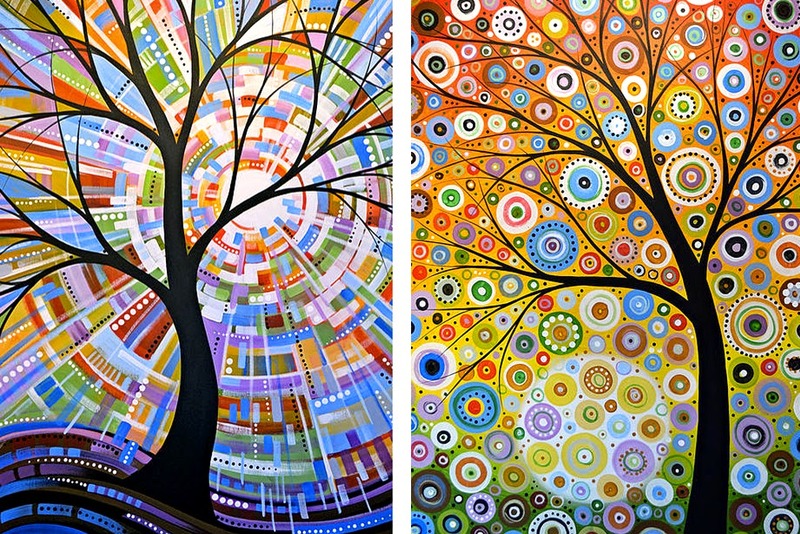 Some common examples include simplified silhouettes of trees on a background of spirals or polka dots in a wide range of colors. The black of each tree is a perfect contrast to the pulsing, spiraling shades. It's almost not fair to call this color chorus a backdrop because it is as much a central part of her composition as the silent subject in the foreground. Amy is also known to feature flowers, animals, sunsets and the occasional still life. With a background in painting murals, it should be no surprise that Amy enjoys large pieces, sometimes broken up into multi panel works, perfect as a focal point in any room. I too am a lover of color, so Army's style echoes how I love to see the world!